Kunskapsskolan’s KED program is a child-centric take on the CBSE. The good news? It’s been tried and tested. Kunskapsskolan’s KED program is remarkable but what exactly is its learning portal like? We talk to parents and find out what makes it tick. In June 2017, Swedish school Kunskapsskolan will start its academic year in Bangalore. 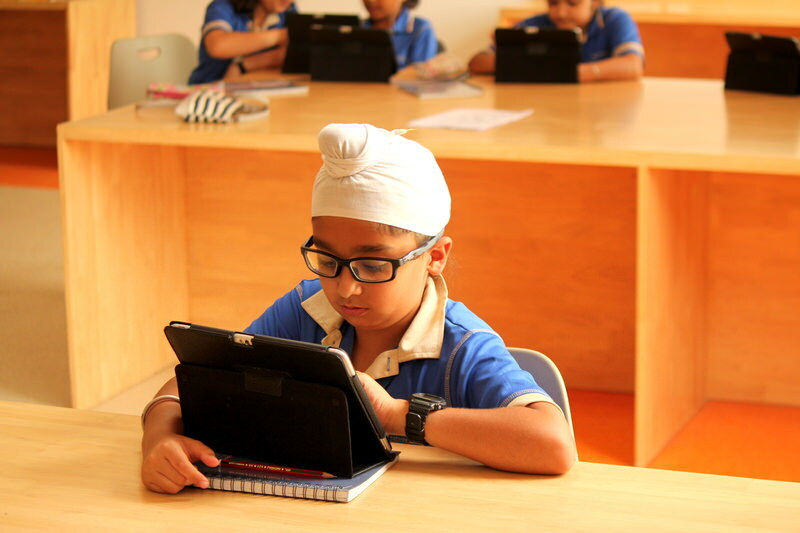 With branches in Gurgaon and Lucknow, Kunskapsskolan’s KED program is unique – instead of text books, the entire CBSE syllabus will be on the portal in the form of web-based content. What is different though is that this content will be pluralized to tap into different learning styles and learning levels. Children can access the material online and learn at their own pace. This might seem like a radical new approach but it has already been implemented in Gurgaon for 4 years. I spoke to parents from both the schools, who told me about what makes KED tick. The Learning Portal is the backbone of Kunskapsskolan’s learning program. Developed by a team of subject experts, the portal is a repository of content, resources, worksheet, interactive exercises, games and activities that support the students to achieve their learning goals. The web-based Learning Portal contains all the learning material and documentation in a student’s life at Kunskapsskolan. Based on the curriculum there are work paths, tests, resources, reference links, examples that the students use to learn.. The Learning Portal provides many advantages – it can be accessed any time, so there are no siloed work hours of ‘home’ and ‘school’ work that traditional schools provide. The BGT’s role, however, is to make sure that children motivate themselves to learn. Says Chaddha, “Kids learn how to study and not what to study. My sons search the Internet, use the portal as a framework and really think out of the box. Also, the structure is excellent. After a lecture, there is a lab session and workshop to ensure that children apply what they have learned and can also work on their own. Each classroom does not exceed more than 22 children and the BGT can give complete attention to students. Admissions open! Register your wards for the admission process in Bangalore for the academic year, 2017.